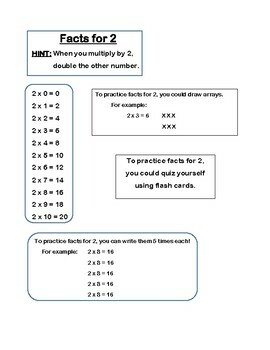 This product can be used as an early finisher activity. 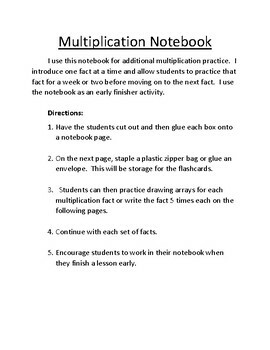 Students cut and glue multiplication facts into a notebook and then practice writing facts and drawing arrays. 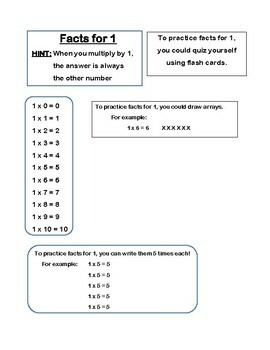 A set of flash cards for each fact is also included for additional practice. 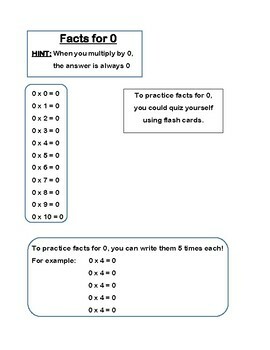 Product includes facts 0-10.